It is not every day you have to organize an event that will be broadcast worldwide by Italian state television. 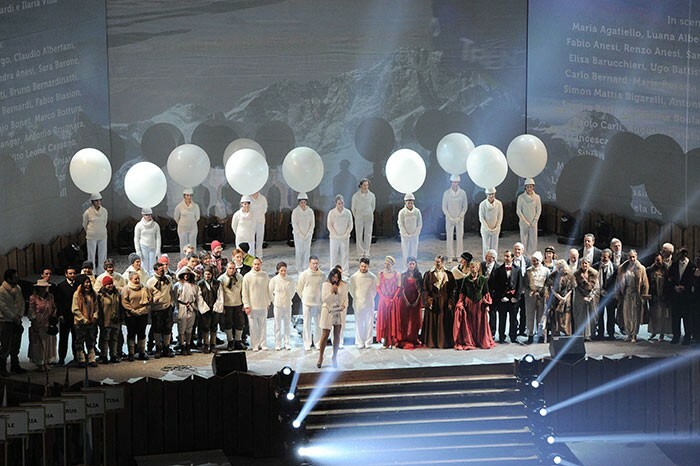 The opening ceremony of the FIS Nordic World Ski Championships in the Fiemme Valley was an exceptional event, both owing to the exciting parade of athletes and their delegations from the many countries that took part, and the ceremony organized by Studio Festi, an Italian team specialized in large international outdoor events. 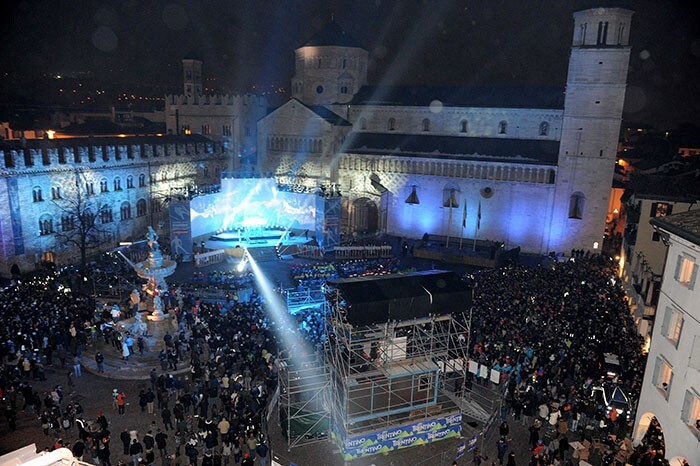 Acrobats, dancers and climbers created a magical atmosphere in the already charming setting of Piazza Duomo in Trento. The show was directed by Monica Maimone with the technical cooperation of Ezio Maffei and the highly experienced staff from the company he owns, Maffei Service, based in Levico Terme. In particular, the lights were divided into two different blocks. The first block was devoted to white lights, which are essential for live TV, and the second to lighting effects and moving lights, with the task of livening things up and making the event even more exciting. Marco Spagnoli was lighting director for white lights, while Mario Zanella took care of the effects and the respective lighting design. Zanella relied heavily on Clay Paky Sharpys and split them into two batteries. The first, with ten lights, was placed on the stage steps. These could be seen by the audience and were the closest to them: "They are exceptional lights," said Ezio Maffei. "My company bought them straight away because they were the first in this category and are still today the most sought after. They are a must if you want to provide a quality service." "In this case they fitted in beautifully with the almost theatrical use the director asked for, since the show took place mostly offstage," Maffei continued. "From when rigging began on February 8 last, we were in the square from 8 in the morning to 2 at night in several shifts, until the great day of the live broadcast on 20 February. However Paolo Maimone and I have actually been working on the rig since August, planning everything down to the smallest details, from the lighting plan to the organization of the space. Nothing was left to chance." "I definitely have to thank all my staff: fourteen excellent and helpful technicians," concluded Maffei. "It was a long marathon, but we achieved the only conceivable outcome: a perfectly successful event." Music by Goran Bregovic, the Trento Municipal Police Force Choir, three giant screens, forty artists that climbed the bell tower or hung over the audience, and thirty extras from Trento made the evening truly magical. The fantastic effects of the second battery of Sharpys, installed on the bell tower, contributed to the magic with their powerful precise beams that coloured and accentuated the artistic performances.